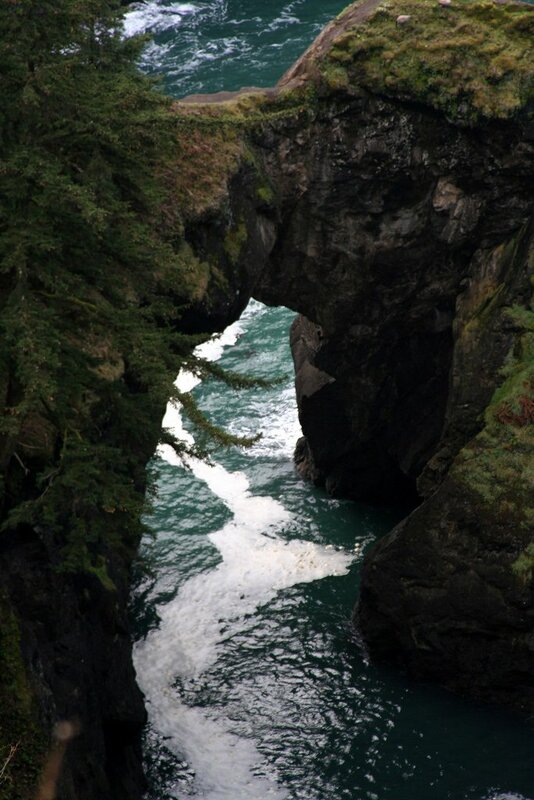 →What To Do At The Natural Bridge Campground In Oregon? 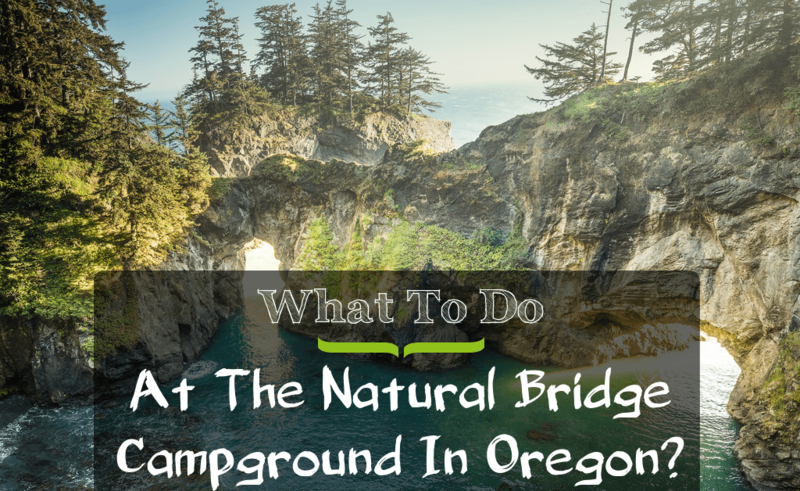 What To Do At The Natural Bridge Campground In Oregon? It’s the middle of the year and you’ve been working really hard. You’ve been looking for the perfect place to be with your family, friends or just yourself to unwind, relax and escape the stress of the city. You want a quick, short but memorable getaway. 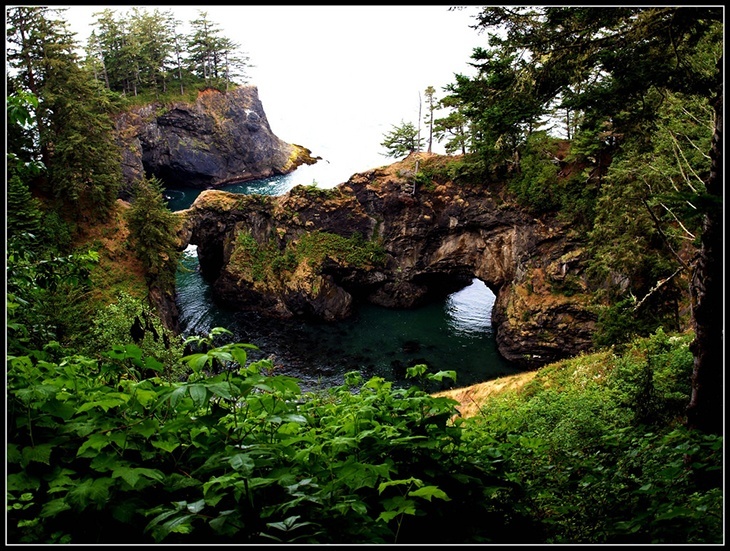 The Natural Bridge Campground in Oregon is the place for you. It is a perfect place for you to momentarily forget work and reintroduce yourself to nature. Wherever you are, just hop on a plane or get in your car, grab your GPS and get ready for this amazing trip. The Natural Bridge Campground In Oregon? Make a checklist and take note of the important things you need to bring and to prepare before your trip. Being in the outdoors means you won’t have four walls and a roof to protect you from the weather. Make sure you bring the right set of clothes before you leave. Check the weather and the temperature of the area so you can pack the suitable clothes. Remember that at night, it gets chilly and that your tent won’t provide heat to keep you warm. So make sure you pack those warm sleeved shirts and jackets. If you plan on going for a hike, don’t forget to bring the right pair of shoes and not just sneakers to avoid getting your feet hurt. The Natural Bridge Campground’s best feature is the Rogue River so don’t forget to bring your swimwear so you can enjoy getting in the water. One of the main items that you should not forget in preparation for camping is your tent and your camping gears. The Natural Bridge Campground does not rent out tents, they only provide campsites. 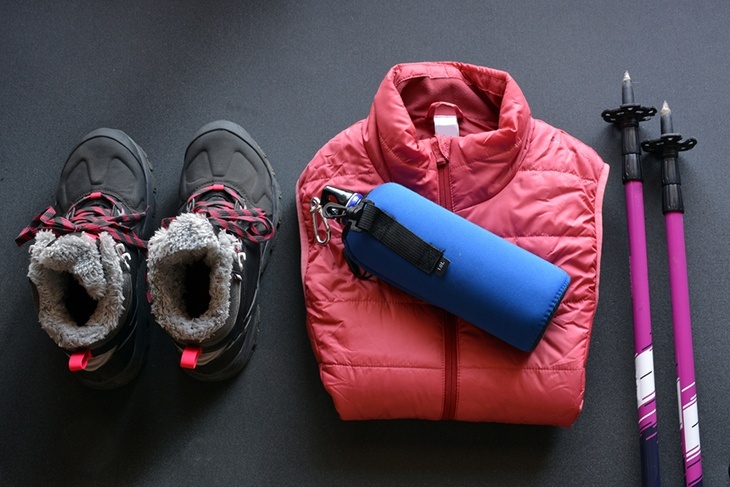 Bringing more than one flashlight would also be very useful because it would get really dark at night and you would need your lamp to get around. You have to bring food that you can easily eat or cook in going to the campground. The campground does not sell food and the nearest town, Prospect, is a 15-minute drive. Bring easy to eat and fix food such as sandwiches and oatmeal. Bring meat that can easily be cooked in grills and store them in a cooler. And of course, don’t forget to bring those marshmallows so you could make some s’mores in the campfire. Remember to store your food in a tightly closed space such as your car. You can never be too safe. 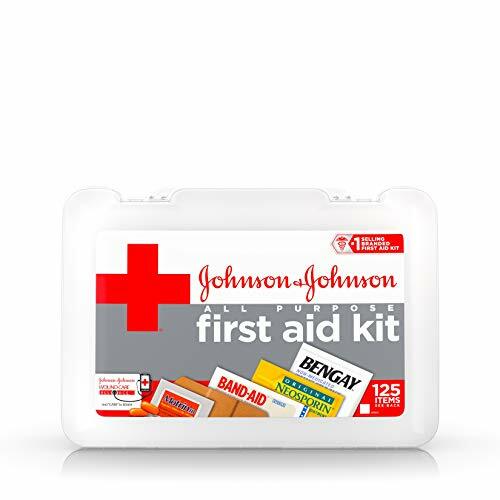 Saving that space in your trunk for the first aid kit is definitely a must. You would want to have an immediate and basic response when someone or when you get injured. It’s better to pack your own in case the establishment does not store one or if the other campers did not bring one. Double check if everything in your kit is still complete before you leave. If not, restock and replace the used ones. You are staying out in the sun all day, so better pack those sunscreens if you don’t want to nurse sunburns after an amazing trip. You also don’t want to be scratching and getting your skin irritated by bugs. The area is obviously very much covered with trees and plants that are home for insects. So apply that repellant before you scratch your skin off. The campground has a long stretch of trails that are adjacent to the Rogue River, this could be your newest trail to conquer! The trail is easy to hike and is friendly to beginners. So don’t forget to better grab those hiking shoes and ready your gear. Add fishing to your list of things to do in the campground. With the still river along the campground, you can fish as much Rainbow Trout as you want. Bring your complete fishing equipment and your biggest container you have for your catch. You might not need to bring that meat to grill after all. Biking is especially enjoyable in spacious areas. 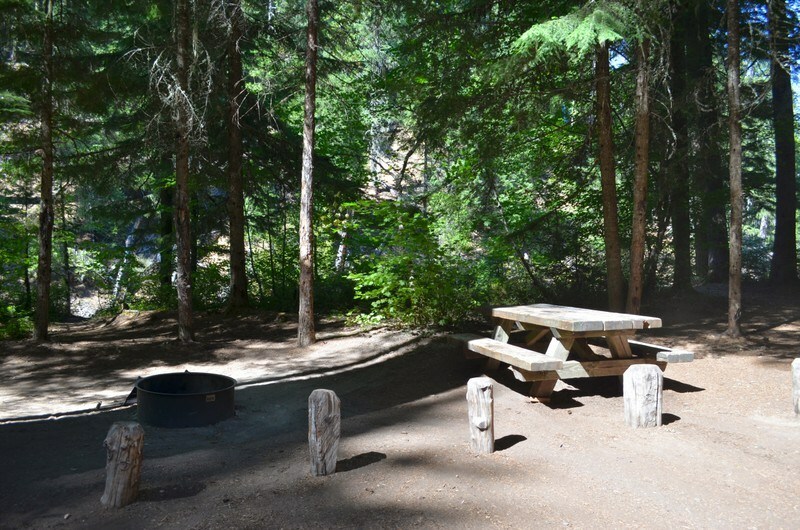 The campground offers that space and trails where you could explore the stretch of the Rogue River. Load your bike and be prepared to check off biking in your to do list. Nature and its bizarre and sometimes unexplainable phenomena has given us astonishing places to marvel on and explore. In Oregon, one of those is the Natural Bridge. A Natural Bridge is literally a bridge formed by nature through one of its phenomena a long long time ago. It was formed from the lava that molded the landscape which allowed water from the Rogue River to flow in and emphasize the bridge that was formed. The upper section of the lava tube that was untouched molded to become the bridge. When visiting the Natural Bridge in Oregon, you will not only see and wonder at how nature was able to cause water to disappear under a stretch of land and reappear again on the other end. You will also hear how the water is in a rush to traverse the sloped landscape of the river into the lava tube. And you will feel the dampness of the fresh air as it carries the fine sprays of water caused by the quick flow of the river. You’ll really get the taste of nature, as your senses enjoy the sensations it gives. The Natural Bridge can be easily explored because of the paved trail available. The trail is directly adjacent to the river so you get to follow the flow of the Rogue River. The paved path also has viewpoints which has interpretative signs that features quick facts about the Natural Bridge and the Rogue River. The water from the river came from melted snow of the Crater Lake which makes the water very cold, down to its destination, the Pacific Ocean—as discussed in one of the interpretative signs. There are also footbridges that would allow you to directly view the river and get a feel of how it is to be on the Natural Bridge above the flowing river. There are viewpoints on both of the ends of the Natural Bridge which would allow you to see the inlet and outlet of the water. From those viewpoints, you can see the blowholes that shows the violent movement of the water under the bridge as it passes by. It was really fascinating to see water spraying from land and if not for the river, you wouldn’t think it has water under it. You can also see the potholes which can sometimes be seen only when the tide is low. This area which was made specifically for viewing can be accessed easily. There is a spacious parking lot for those who are going for a day tour to see the Rogue River and the Natural Bridge. The paved trail and footbridges make it easier and safer for visitors to get around and observe. Do you wanna do more than a 10-15 minute tour of the Natural Bridge? Camping in the Natural Bridge Campground would be your best option. The campground has been made available for adventurers who want to experience nature longer. Just bring in your tent and other camping necessities and you’re good to go. Camping basics are already provided. The Natural Bridge Campground has 17 campsites that is available on a first come, first served basis. Each campsites has its own picnic table and grill which is very convenient for gatherings. For as low as $10 and $5 for the vehicle fee you can already stay the night over and occupy your own campsite. There are no showers available but there are seven vault toilets in the campground. Water is not provided so you’ll have to bring your own water. RVs are also permitted in the campground. However, there are no RV hookups, dump stations and water available in the campground. The only RV waste station and potable water available in the area is at Prospect RV Park which isn’t free. Trash bins are not provided which means you would have to pack your trash out upon leaving. The campground is not open all year. It’s only open from May until late October which means you better plan your trip ahead. The campground has trails that you can explore. The Rogue Gorge Trail is nearest to the Natural Bridge Campground. It follows the stretch of the Rogue River where the water is calm. Following this trail will definitely help you unwind as you explore the forest. You can follow the Rogue Gorge Trail and get to the Upper Rogue Trail that will get you to the Natural Bridge. The trails are especially ideal for beginners who want to get a little experience in hiking by starting off with easy trails. You don’t like walking? No problem. You can always bring your bike and follow the same trail, the Rogue Gorge Trail and the Upper Rogue Trail. Who doesn’t like enjoying the view with the fresh air on your face? 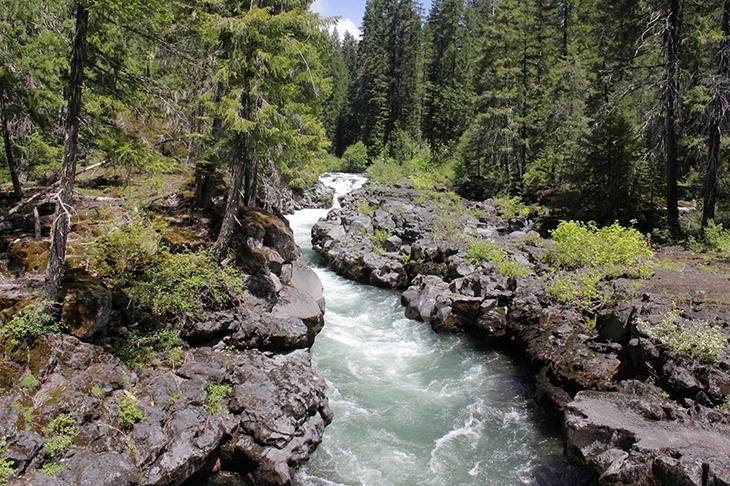 Follow the Rogue Gorge Trail and you will see a calmer Rogue River. Go up the Upper Rogue Trail and you will see a more violent Rogue River as it slope down the landscape molded by lava to the lava tube below the Natural Bridge. The trail near the Natural Bridge, however has fenced area which would force you to head back and find another way to continue. The river near the campground is quiet and serene, perfect for boating. The stillness of the water in this area is perfect for beginners, so dads this is your chance to give the kids boating lessons. While some tourists enjoy a challenge, rafting would be the best activity for them. The current of the river along the Upper Rogue Trail is faster and the landscape has many slopes which makes it perfect for rafting. Rafting boats and other necessary equipment are being rented out by the staff in the area. What else can you do on a boat besides taking your girl for a romantic ride or teaching your kid how to boat, but to actually go fishing? Fishing is one of the activities that the tourists enjoy in the campground. Since the river along the campground is still, fishes would be easier to catch. Expect to catch a rainbow trout when fishing. This is a perfect activity to enjoy and get an actual feel of camping by fishing dinner yourself. Of course, you must not forget to actually get wet in the water. Experience the fresh, clean water and swim with the rainbow trout. The river along the campground is not really that deep which makes this activity perfect for the whole family. But remember to test the waters first because it’s actually cold. Don’t forget to pack those swimwear! This is it, this is the break you’ve been looking forward to. Away from those endless calls at the office, away from your computer screen, away from the city traffic and away from the polluted air. Just be with the trees, the forest, the water, and land and you’ll find peace and home in the wilderness. Camping would not be complete without a campfire. It’s a must! 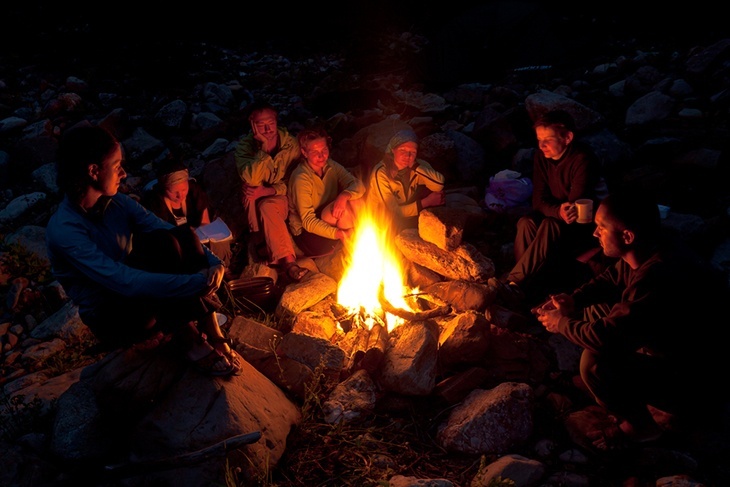 It’s a great bonding with your family or friends after a tiring day doing all sorts of activities. Gather ‘round the campfire, grab those beers, tell those stories, sing campfire songs and yes, make some s’mores. Warm up the cold night with each other’s presence and I’m sure, you’d want to go back. Not every day you’d get to see the sky dotted with stars at night. Not every day you’d see shooting stars occasionally passing in our atmosphere. Because the campground is away from busy lights, you get to enjoy the subtle brightness of the stars and the moon. It’s perfect to enjoy with your family, a friend or someone special to you. Make a wish and it just might come true! Overall, the trip will be worth it. You’ll get to witness the fascinating result of the natural phenomena of the Natural Bridge. You’ll get to explore the wilderness and the stretch of the river with the trails. You’ll get to enjoy the cool waters of the river by swimming, boating, rafting and fishing. And you’ll get to bond with friends and family which is something you won’t get to do on a busy week. Take a break with nature and you’ll find home miles away from home. If you’re miles away from Oregon and are planning to go to the Natural Bridge Campground, start by booking a ticket that would arrive you at the Medford Airport. It is the nearest airport going to the campground with only more than an hour drive away. If you book a ticket to arrive at other airports in Oregon it would take you a 3-6 hour drive to get there. If you’re going for a state tour and you are coming in from the State Capital of Oregon, Salem, it would take you a 4-5 hour drive. To get there, you should arrive in the town of Prospect first. Take the Mill Creek Dr. once you get to the intersection of Mill Creek Dr. and 1st St. Then, turn right to the State Route 62 until you get to Road 300. Drive straight once you made the turn for Road 300 until you reach the campground on the right. Or you could also drive straight until the end of the 1st St. and make a turn for the Crater Lake Hwy (State Route 62) until you reach Road 300. If you drive straight passing the campground, you will reach the parking lot that will get you to the paved trail that features the natural bridge. The nearest town from the campground is Prospect which is only a 15 minute drive away, so in case you forgot to bring those tick repellant, you can still go for a quick drive to get it. If you’re planning on further exploring the area, another famous site, the Crater Lake is only a 20 minute drive away. There are also other beautiful waterfalls such as the Toketee Falls near the area, the Union Creek is nearby which can easily be hiked for about 40 minutes, there are also trails that would get you to Mt. Stella Summit and hike loops that would get you to the Oregon Coast.